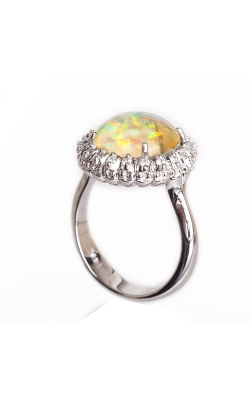 With an aesthetic style all their own, Galatea fine jewelry pieces stand out at Medawar Jewelers for their inventive and highly-detailed craftsmanship, as well as their innovative techniques for pearl culturing and cultivation. Offering new takes on pearl and diamond-covered women's and men's fashion jewelry pieces, Galatea is perfect for people of elegant and individualistic tastes. Award-winning for their excellence in design and detailing, guests to any of the five locations of Medawar Jewelers will be delighted at the selection of fashion rings, earrings, necklaces, and bracelets available today from Galatea. Revolutionizing the use of pearls into fine jewelry, Galatea's fabulous pieces are now found among the many top-quality designers at Michigan's own Medawar Jewelers. With pieces that showcasing diamonds, gemstones and pearl accents, the artisans of Galatea have something to please everyone. 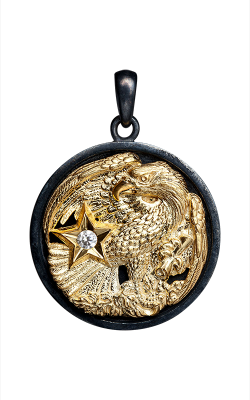 Firstly, Medawar Jewelers extends a handsome selection of Galatea men's pendant and men's rings from the Capitan collection, which is filled with fascinating nature-inspired designs that are nothing short of brilliant. Also available today, are the show-stopping Galatea women's fine fashion jewelry of refined taste. Among the collections are the 14-karat white, yellow, and rose gold fashion rings that make up the Momento Pearl and Momento Gem collections, that are perfect for all women to enjoy. Further Galatea collections found at the Okemos, Portage, Brighton, West Lansing, and Jackson showrooms of Medawar Jewelers include the multi-colored circle, pearl, and pendant style necklaces and the cuff and pearl bracelets, all from Galatea. Finally, worn with a sleek evening gown or with everyday wear, the stud and drop earrings from Galatea's Pearl Flower, Momento Pearl, Queen Bead Convertibles, and Carved Pearl & Sterling, are the perfect finishing piece to a lovely ensemble. With decades of dedicated service to their Michigan community, Medawar Jewelers is still the go-to jewelry retailer for finely-crafted engagement rings, wedding bands, timepieces, loose diamonds, and fashion jewelry. In addition to an exceptional assortment of designer jewelry, Medawar Jewelers also offers their "Medawar Lifetime Promise" which includes regular cleaning and free Rhodium replacement once a year for jewelry purchased at Medawar Jewelers, as well as comprehensive jewelry repair services. Conveniently located in five locations throughout Michigan including Okemos, West Lansing, Portage, Jackson, and Brighton at Medawar Jewelers guests can shop bridal and fine jewelry from such prestigious designers as A. Jaffe, Benchmark, CrownRing, Verragio, Parade, and more!